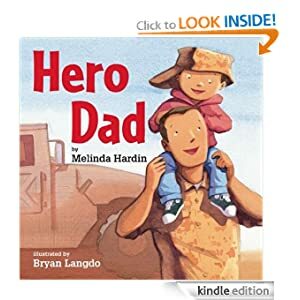 Also Amazon offers Hero Dad by Bryan Langdo, Melinda Hardin just for $1.99. Some superheroes wear rocket-propelled boots, drive super-powered cars, and have X-ray vision. But other superheroes wear army boots, drive tanks, and go away for long trips to make the world a safer place. It’s a tough job, but that’s what superheroes have to do. With Melinda Hardin’s simple text and with Bryan Langdo’s endearing watercolor-and-pencil illustrations, Hero Dad makes a difficult and tender subject more accessible to children with parents serving far from home. Author Melinda Hardin lives in Clinton, Massachusetts. She received a degree in secondary education from Western Michigan University. She has traveled extensively and enjoys time with her family. Hero Dad is her first book and is about being the child of a military father, from the child’s point of view. Illustrator Bryan Langdo lives in New Jersey. He has illustrated nearly thirty books for children, and wrote two of them. 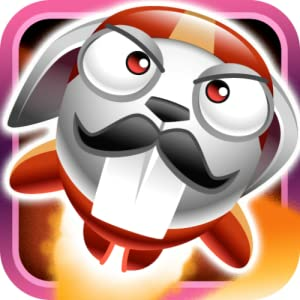 Stunt Bunnies Circus is a free application for your Kindle Fire for today only.